President, Brian W. McNeill, Ph.D.
Brian W. McNeill, Ph.D. is a professor in the Counseling Psychology Program at Washington State University where he also co-directs the newly created Pacific Northwest Center for Mestizo and Indigenous Research and Outreach. He is the co-editor of The Handbook of Chicana and Chicano Psychology and Mental Health, Latinx Healing Practices: Mestizo and Indigenous Perspectives, and co-author of IDM Supervision: An Integrative Developmental Model for Supervising Counselors and Therapists. Dr. McNeill is a licensed psychologist in the states of Washington and Idaho, where he practices and consults. Dr. Millán is a Latinx Counseling Psychologist, licensed in New York State and board certified in psychoanalysis by the American Board of Professional Psychology. He maintains a part time private practice in Spanish and English. Dr. Millán is Professor of Psychology and Past-Chair of Psychology and current Director of the Graduate Program in Mental Health Counseling at SUNY Old Westbury. He is current Chair of the APA Ethics Committee and board member of the New York State Board for Discipline and Licensure. 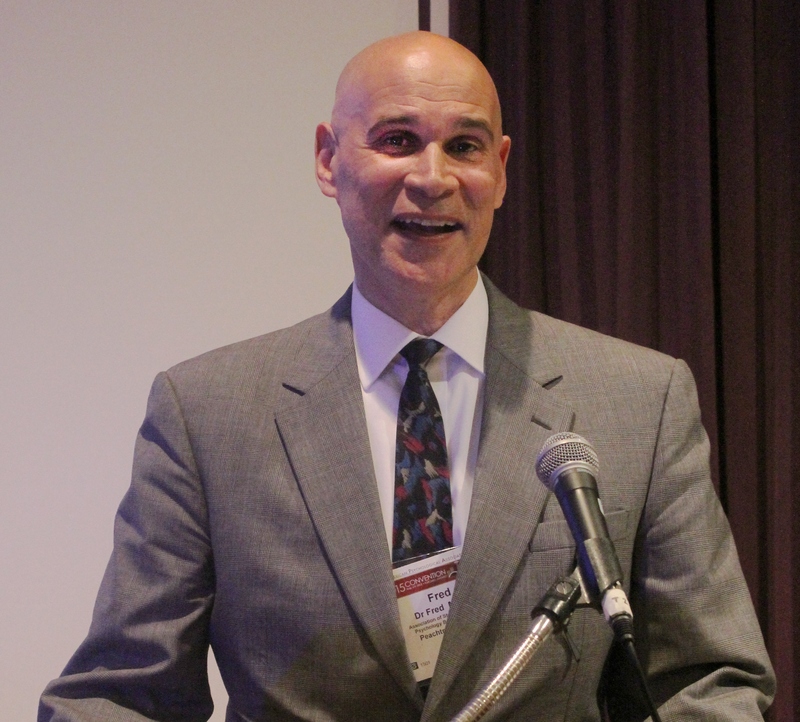 Dr. Millán is Past-President of the Association of State & Provincial Psychology Boards. He served as Chair of the ASPPB Telepsychology Task Force and Co-Chair of the APA/ASPPB/APAIT Joint Task Force on Telepsychology. Dr. Millán is Past-Chair of the New York State Board for Psychology. 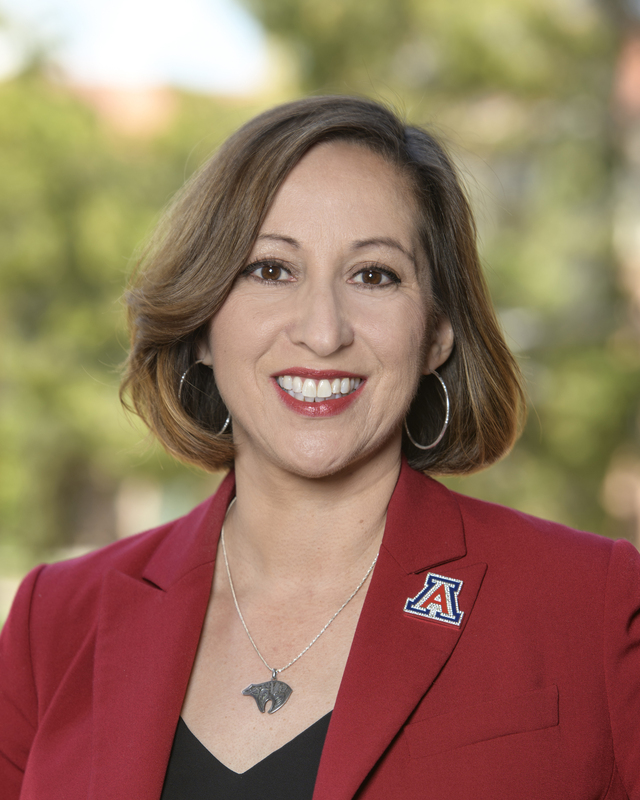 Dr. Romero has a Ph.D. in Applied Social Psychology, and is Professor in Family Studies and Human Development and currently Vice Provost of Faculty Affairs at the University of Arizona. Her research examines cultural, familial, and resilience factors associated with Latinx adolescent health disparities of mental health and substance use. She has been a leader in research to understand how navigating bicultural contexts is associated with stress among Latinx, Asian and White youth and young adults. A central element of Dr. Romero’s methodological approach is that of participatory action research, which is done in dialogue and collaboration with community members for substance use prevention and creating college-going culture. She has been an NLPA member since 2002, where she was on the leadership council to develop the first website. She also served as Associate Editor for the Journal of Latinx Psychology for four years and recently co-edited a special issue for the journal on methods with Latinx populations. She is dedicated to growing NLPA for future generations of scholars. Treasurer and Acting Secretary for Finances, Eduardo Morales, Ph.D.
Eduardo Morales, Ph.D. is Distinguished Professor of the PhD Clinical Program at CSPP-SF of Alliant international University and Executive Director of AGUILAS, a HIV prevention program for Latino gay/bisexual men. Dr. Morales has received numerous awards for his contributions that include the 2009 American Psychological Association (APA) Award for Distinguished Contributions to Institutional Practice, the 2009 Latino Business Leadership Award presented by the San Francisco Hispanic Chamber of Commerce, the National Latino Psychological Association 2006 Star Vega Distinguished Service Award, a Citation in 2005 for Outstanding Service and Visionary Leadership from the what was then called the Society for the Psychological Study of Ethnic Minority Issues (Division 45) of the American Psychological Association (APA), the 2002 Distinguished Career Contributions to Service Award from Division 45 of the APA; the 1994 Outstanding Achievement Award given by the Committee of Lesbian and Gay Concerns of the APA; and the Distinguished Contribution Award (1991) in Ethnic Minority Issues, from what was then called the Society for the Psychological Study of Lesbian and Gay Issues (Division 44) of the APA. 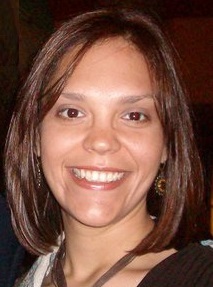 Dr. Cristalís Capielo Rosario received her Ph.D. in Counseling Psychology from The University of Georgia in 2016. She is currently a tenure-track Assistant Professor in the Counseling and Counseling Psychology Department at Arizona State University. 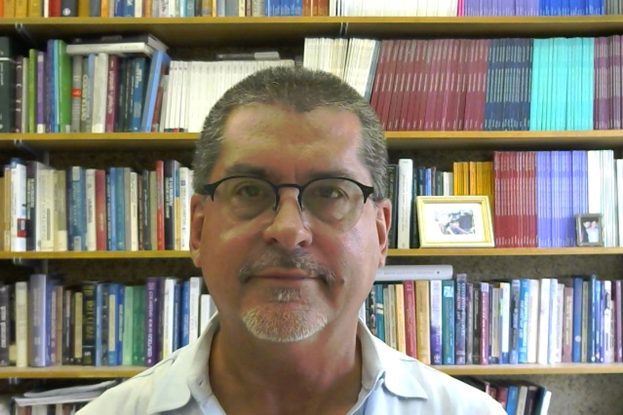 Dr. Capielo Rosario’s research interests include Latinx psychology, colonialism, acculturation measurement, the acculturative process of Puerto Ricans in the island and mainland, multicultural and linguistic competence, and multiculturally informed ethical standards. She has multiple publications and national arbitered and invited presentations in the areas of Latinx psychology. Dr. Capielo Rosario has also held various leadership positions, including the Conference Chair for the National Latinx Psychological Association (NLPA) 2016 Biennial Conference. 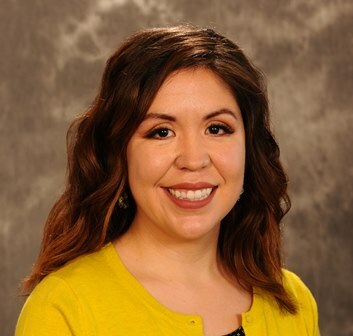 Early Career Representative, Luz Maria Garcini, Ph.D.
Dr. Luz Garcini is originally from Mexico and completed her doctoral training at the SDSU/UCSD JDP in Clinical Psychology where she worked on a combined degree in clinical psychology and epidemiology. Her dissertation, which is the first to provide population-based estimates of psychological distress among undocumented Mexican immigrants in high-risk neighborhoods, highlights the effect of context on the mental health of this stigmatized subgroup. 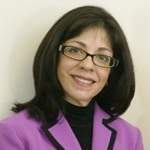 Broadly, Dr. Garcini’s research focuses on: 1) inform innovative approaches, methodology and assessment techniques to the study of health among socially disadvantaged Latinxs; 2) identify mechanisms involved in health promotion within culturally and contextually sensitive frameworks; and 3) increase translational research useful to reduce health disparities. Dr. Garcini is recipient of two Ford Foundation Fellowships and a Dissertation Award, was recently awarded the 2016 APA Distinguished Graduate Student Award, and she is highly committed to activities supporting increased representation and retention of Latinxs in psychology. Student Representative, Marlaine M. Monroig Garcia, M.S.Ed. Marlaine is a doctoral candidate in Counseling Psychology at the University of Georgia. She is passionate about providing monolingual and bilingual Spanish counseling services and is a part of the ¡BIEN! team, a hybrid of research, service and outreach to underserved communities. Her research interests include complex trauma, specifically in vulnerable and racial/ethnic minority populations, and the identification and facilitation of resiliency factors. Her dissertation is focused on the topic of human trafficking and reducing revictimization through counseling. Her research interests also include multicultural psychology and Latinx psychology. She is currently leading a multi-institutional research project exploring the experiences of Latinas in Clinical and Counseling Psychology Ph.D. Programs. Prior to UGA, Marlaine obtained her BS in psychology at the University of Central Florida and a master's in mental health counseling at the University of Miami. She’s a proud Boricua, born and raised in Puerto Rico. Membership Chair, Raquel Botello, Ph.D.
Dr. Botello's research focuses on understanding multicultural factors that influence psychological well-being and educational outcomes. Primarily she examines bicultural identity development in Latinx individuals. She also examines the impact of minority stressors such racial visibility and discrimination experiences in ethnic/racial minority college students. Another line of research focuses on clinical training of developing therapist in working with diverse clients of various marginalized identities. Senior Advisor on Public Policy, Manuel Paris, Psy.D. 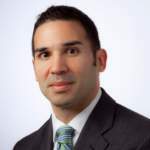 Dr. Manuel Paris is an Associate Professor of Psychiatry at the Yale University School of Medicine and Deputy Director of Hispanic Services for the Connecticut Mental Health Center. He also serves as Director of Training for the Latinx Track of the Yale Psychology Pre and Post-Doctoral Fellowship Program at the Hispanic Clinic. His professional focus is on the adaptation of evidence-based interventions within a culturally appropriate framework, with a specific emphasis on motivational interviewing for addictions. As such, he is actively involved in the following three areas: 1) evaluation of cultural/linguistic adaptations of evidence based interventions and assessments; 2) multisite training and fidelity monitoring; and 3) workforce development. He has co-authored numerous articles on Latinx behavioral health issues and also teaches and lectures extensively on this topic. Delegate to the American Psychological Association’s Council of Representatives (COR), Milton A. Fuentes, Psy.D. Dr. Milton A. Fuentes received his MA in Psychology with a Latinx Psychology focus from Montclair State University and his Psy.D. in clinical psychology from the Graduate School of Applied and Professional Psychology at Rutgers University. He completed a pre-doctoral fellowship in clinical and community psychology at Yale University and secured post-doctoral training in epidemiology at Columbia University. He is the 2012 President of the National Latinx Psychological Association and a former member of the American Psychological Association’s Committee on Ethnic Minority Affairs. Dr. Fuentes is the current president of the Latinx Mental Health Association of NJ; an ethnic minority delegate to APA’s Council of Representatives, and member of APA’s Board for the Advancement of Psychology in the Public Interest. Dr. Fuentes’s research interests are in the areas of Latinx and multicultural psychology, child/ family psychology, pedagogy and motivational interviewing. He serves as a consultant to several programs, including the Violence Prevention Office of the American Psychological Association, where he serves as a Coordinator and Master Trainer for the ACT Raising Safe Kids program. Dr. Fuentes is currently a professor in the psychology department, the director of the Research Academy for University Learning at Montclair State University as well as a licensed psychologist in New Jersey and New York. Psychological Practice Issue Advocate, Jose Cervantes, Ph.D.
Dr. Jose Cervantes is a Professor, Department of Counseling at California State University, Fullerton. His primary areas of research and writing have been in the topics of immigration, indigenous spirituality and men and masculinity. 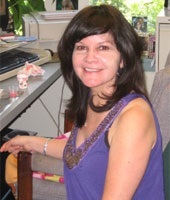 In addition, Dr. Cervantes typically teaches the legal and ethical graduate class in Counseling each semester at the university and has had to integrate the new topic area of social networking and confidentiality in counseling practice as a result of the changing consciousness of the graduate students in department. The millennial generation has prompted the unique perspective of this student population and consequently, the interest in this area. Dr. Cervantes is a clinical psychologist who is licensed in the states of California and Hawaii. He is a diplomat in the areas of clinical psychology and couple and family psychology from the American Board of Professional Psychology (ABPP). Dr. Cervantes has long been recognized as an expert in the areas of child and family psychology, divorce mediation, reunification of children with a parent following divorce, and blended families. His private practice has been remained in the city of Orange since 1986 where he is part of a multi-disciplinary group of independent practitioners. While Dr. Cervantes' practice focuses on children and families, he also works effectively with individual adults, and has long established competency in practice with Spanish speaking families. Fund Raising/Development Chairperson, Jesús Rodríguez, Ph.D. Psychological Education Issues Advocate, Leticia Arellano-Morales, Ph.D.
Dr. Leticia Arellano-Morales earned her Ph.D. in Counseling Psychology from Michigan State University. She is currently an Associate Professor in the Department of Psychology at the University of La Verne. Her research interests include Latinx psychology, Chicanx feminism, health, shifting among women of color, and multicultural counseling competencies. She is also a co-editor of The Handbook of Chicana and Chicano Psychology and Mental Health with Dr. Brian Mc Neill and co-author of Latina/o American health and mental health: Practices and challenges with Dr. Erica T. Sosa. LPT Newsletter Editor, Hector Y. Adames, Psy.D. Dr. Hector Y. Adames is a licensed neuropsychologist who received his doctorate in clinical psychology from Wright State University. Currently, he is an Assistant Professor at The Chicago School of Professional Psychology where he leads the Health Psychology concentration. His research and clinical expertise focus on assessment, cognitive aging, memory functioning, health, multiculturalism, professional training in psychology and Latinx psychology. 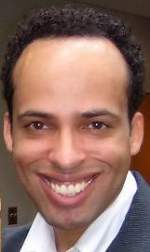 Roberto L. Abreu (pronouns: he/him/his) is currently a tenure-track Assistant Professor in the Counseling Psychology program at Tennessee State University (TSU). Roberto is an APA Minority Fellow. Roberto received his PhD in Counseling Psychology in 2018 from the University of Kentucky and completed his doctoral internship at the Federal Medical Center, Lexington (FMC-LEX)/Federal Bureau of Prison. Roberto's research focuses on the well-being of lesbian, gay, bisexual, transgender, and queer (LGBTQ), people of Color (POC), and LGBTQ POC. Specifically, his research has focused on Latinx LGBTQ individuals and family and community relations. Regarding some of his advocacy work and leadership roles, Roberto serves as co-chair for NLPA’s LGBTQI+ interest group (i.e., Orgullo), APA Division 44 program chair 2020, and member of APA Division 17 Early Career Professional (ECP) committee. 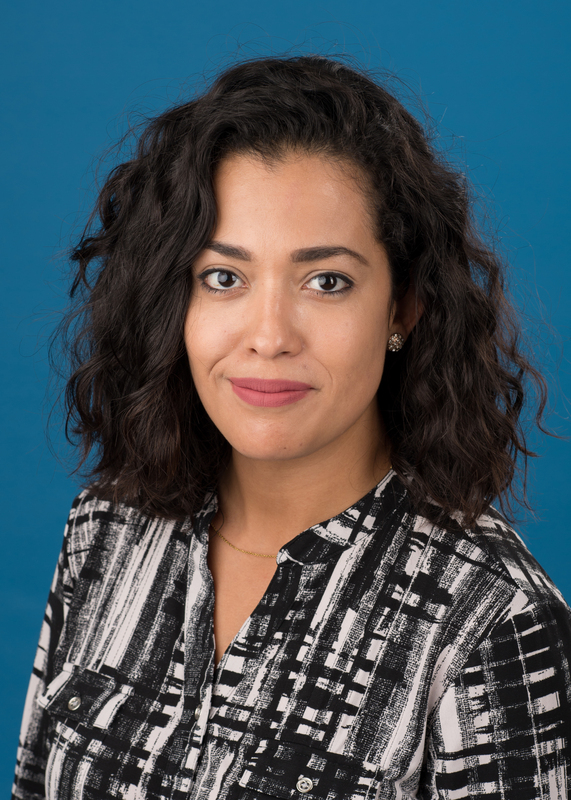 CNPAAEMI & CLDI Leadership Fellow, Elizabeth Aranda, Ph.D.
Elizabeth Aranda, Ph.D, is a Senior Staff Psychologist at University of California, Berkeley Counseling and Psychological Services. She completed her undergraduate education at The University of Texas at Austin and completed her graduate degrees at Texas Woman’s University. In 2018, Elizabeth was awarded NLPA's Leadership Fellowship on behalf of the Leadership Development Institute of the Council of National Psychological Associations for the Advancement of Ethnic Minority Interests (CNPAAEMI). She is passionate about working with historically underrepresented groups, particularly those with intersecting identities such as LGBTQ identified persons of color. In action, Elizabeth serves on the UC Transcare team, and also as a co-chair for NLPA’s Orgullo, a special interest group committed to addressing the needs and challenges faced by Latinx sexual and gender diverse individuals. In addition to her work prioritizing the needs of multicultural communities, Elizabeth also specializes in conducting neuropsychological evaluations to assess for learning disabilities and other neurodevelopmental disorders. When not dedicating herself to her work, she enjoys spending her time cooking, learning, and traveling the world with her wife and family. She is a bilingual (native Spanish speaker) Licensed Independent Clinical Social Worker with a private practice in Seattle and Federal Way, Washington since 1990. She holds a Bachelor of Arts in Hispanic American Studies from the University of Miami (1966), a Master in Social Work from Barry University (1975) and a Master in Health Services Administration from Florida International University (1982). She was the Director of Social Work Services in medical facilities in the State of Florida and Washington. Dr. Antuña was a charter member of the Critical Incident Stress Management Team for the State of Washington and a volunteer Manager for Disaster Mental Health Services with the American Red Cross. In addition from 2000 to 2011 Dr. Antuña was the clinical consultant for the Tacoma Veterans Center dealing with military sexual trauma, traumatic brain injuries and family bereavement cases. In 2007, she obtained a Certificate in Global Mental Health from the Harvard Refugee Trauma and Recovery Mastery Program along with special training on conducting psychological documentation of trauma and other human rights abuses from HealthRight International Human Rights Clinic (2010) and Physicians for Human Rights (2011). Since 2006, she has been conducting forensic psychological and neuropsychological evaluations for a variety of immigration related forensic issues and is considered an expert at Immigration Court in Seattle and Tacoma. She also conducts child custody evaluations. Dr. Antuña has been involved in the education of social work and psychology master and doctoral students for several universities both in Florida and in Washington. She is currently the APA’s diversity delegate for the State of Washington, chair of the Immigration task force for Division 52 and a member of the diversity group for Division 56. She has received several awards for her work with undocumented immigrants. Mentoring Program & Networking Chair. Regina Jean Van Hell, Ph.D.
Born in Mexico City, Mexico. Completed B.A. in Psychology at Wellesley College, an M.A in Counseling Psychology, and a Ph.D., in Developmental and Educational Psychology, both at Boston College, Lynch School of Education. Worked at Boston College at the AHANA Student Programs as a Counselor and managed the Benjamin E. Mays Mentoring Program. At Lesley University, worked at the Say Yes To Education Program where she created a mentoring Program for the students in this University-Community-Partnership and researcher evaluating the outcome of this Say Yes To Education Program. Dynamic and innovative educational leader with strong international and cultural diversity and distinguished background as Lecturer and Adjunct Professor in Psychology and Counseling Psychology for graduate and undergraduate students specializing in clinical applications of human development, human development, ethical standards in counseling, multicultural and diversity counseling and education. In addition, has done significant research on Latinx College Students. Leadership positions have been Vice-president in the 1990’s and more recently President of Alumnae Class at Wellesley College from 2011 to 2016. NLPA volunteer of the Training and Networking Committee, Co-Chair, from 2013 to 2016. In 2016 initiated the NLPA Mentoring Program at the 2016 Conference in Orlando. Traveled to Europe, Asia, Middle East, America and Caribbean. Fluent in Spanish, French, and conversant in Dutch. Senior Advisor, Patricia Arredondo, Ed.D. Dr. Arredondo has dedicated her career to advancing multicultural competencies and social justice principles in the professions of Counseling and Psychology. She has adapted models for competency development and Dimensions of Personal Identity to different workplace settings as she consults on strategic organizational diversity initiatives. She has been a tenured full professor and senior administrator in higher education. She served as president of The Chicago School of Professional Psychology, Chicago campus, Associate Vice Chancellor for Academic Affairs with the University of Wisconsin-Milwaukee, and Senior Vice President Student initiatives with Arizona State University. Currently, she is president of the Arredondo Advisory Group, Visiting Professor, Arizona State University, and Faculty Fellow with Fielding Graduate University. 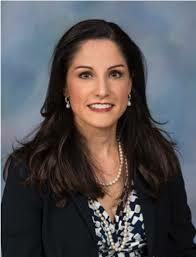 Throughout her career, Dr. Arredondo has been a scholar and professional organizational leader. She has authored and co-authored six books and more than 100 journal articles, book chapters, and bilingual video productions. Her areas of scholarship include Latinx and immigrant mental health, women’s leadership, organizational diversity, and multicultural competency development. 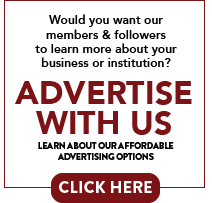 Dr. Arredondo has also been a pioneering leader with national professional associations. She is the first Latina to serve as president of the American Counseling Association (2005-2006) and is the Founding President of the National Latinx Psychological Association. She also served as president of APA Division 45 and ACA’s Association of Multicultural Counseling and Development. For her servant leadership, Dr. Arredondo has been recognized by various associations. In fall 2015, she was named a Business Leader of Color by Chicago United and in February 2016, she received the Social Justice Award from Teachers College Roundtable. In 2014, she was given the Madrina award by NLPA. She is a Fellow with the American Counseling Association and the American Psychological Association and holds an honorary degree from the University of San Diego. Dr. Arredondo received her master’s degree from Boston College and her doctoral degree from Boston University. She is of Mexican heritage and currently resides in Phoenix, AZ. Dr. Santiago-Rivera is the Director of the Clinical Mental Health Counseling Program at Merrimack College. 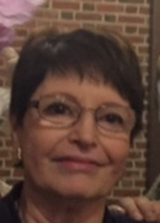 Before joining the Merrimack community she served as a consultant and adjunct faculty, teaching for the Clinical Mental Counseling Program and the Clinical Psychology doctoral program at William James College. 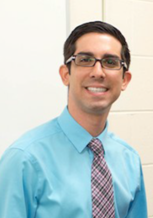 Dr. Santiago-Rivera earned a doctorate in Counseling from Wayne State University, Detroit, Michigan and holds a National Certified Counselor credential with the National Board of Certified Counselors. 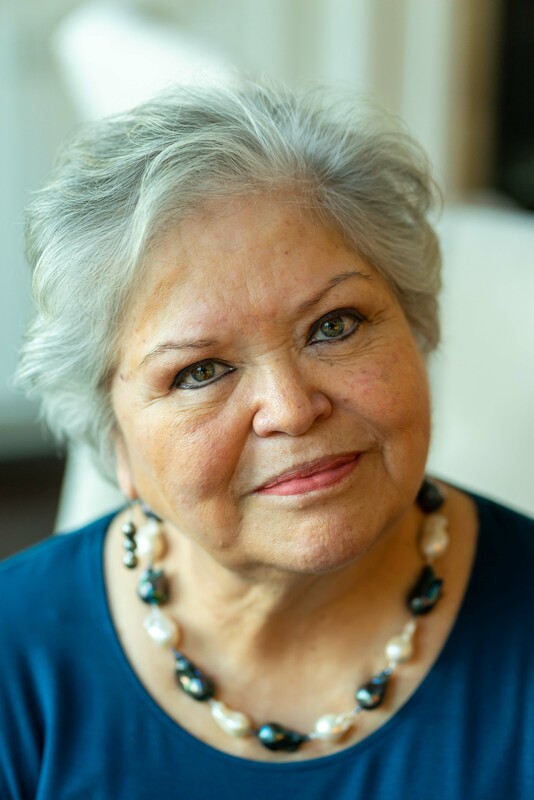 Her publications and research interests include multicultural issues in the counseling profession, bilingual therapy, Latinxs and depression, and the impact of environmental contamination on the biopsychosocial well-being of Native Americans. She has presented on these topics at major conferences and has published in peer-reviewed journals such as the Journal of Professional Psychology: Research and Practice, Clinical Case Studies, Journal of Counseling and Development, the Journal of Community Psychology, Journal of Environmental Psychology, and Psychotherapy: Theory, Research, Practice, Training. She has held numerous leadership positions in professional organizations such as the Vice-President of the Latinx Interest Network of the Association of Multicultural Counseling and Development (AMCD), and the President of Counselors for Social Justice (CSJ) within the American Counseling Association. Currently, she is a past- President of the National Latinx/a Psychological Association, an American Psychological Association (APA) affiliated association. She was the Founding Editor of the Journal of Latinx Psychology (APA journal) and is a Fellow of Divisions 45 and 17 of APA. In 2014, Dr. Santiago-Rivera received the APA Presidential Citation for outstanding contribution to the profession. In addition, she served in academic leadership positions such as the Associate Dean of the College of Education, at the University at Albany (SUNY), and the Academic Dean of the Chicago School of Professional Psychology, Washington DC and Chicago campuses. Senior Advisor, Edward A. Delgado-Romero, Ph.D.
Edward A. Delgado-Romero is an Associate Dean for Faculty and Staff Services in the College of Education at the The University of Georgia (UGA). He is also a professor in the Department of Counseling and Human Development Services at UGA. He graduated from the University of Notre Dame with a degree in counseling psychology and has worked at Michigan State University, University of Florida and Indiana University. Ed helped found NLPA and he is a Lifetime members. Previously he has served NLPA as treasurer, membership chair, program chair, awards chair and President. Ed received Fellow Status in the American Psychological Association through both divisions 17 and 45. He is an Associate Editor of the Journal of Latinx Psychology and is proud to be a Padrino of NLPA. He is proudest of his children Javier, Isabel, Nicholas, Emma and Gil and his research team BIEN.